Twenty-five percent of Americans over forty-five years old now use prescription statin drugs (Lipitor, Crestor, Zocor, etc) to reduce their cholesterol. Cholesterol is a natural fat that’s essential for human life. It’s a building block for cell membranes and many essential hormones. Cholesterol is manufactured in the liver and available in our diet. Typically, if we eat more cholesterol, our liver produces less to maintain balance. 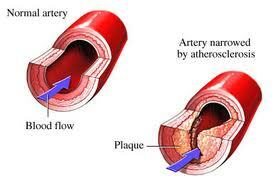 In the last several decades, cholesterol has been blamed for causing heart attacks. If you believe their manufacturers’ statments, side effects from statins are rare. But a recent study published in the Annals of Internal Medicine tells a different story. In the real world, 17 percent of patients taking these pills reported side effects, including muscle pain, nausea, liver problems and nervous system issues, including peripheral neuropathy. The list and severity of acknowledged side effects keeps growing. Increased risk of diabetes has just been added. Two statins, Cerivastatin and Baycol, were banned because they caused severe muscle break down, kidney damage and even death. It’s interesting to note those side effects didn’t show up in drug company pre-launch testing. Also interesting is that in the U.S. this one class of drug creates over 20 billion dollars of revenue for Big-Pharma annually. With those kind of profits it’s unlikely the drug companies care that their cholesterol drugs are dangerous. My 80 year old father’s story mirrors that of many Sunshine customers. He was using Crestor and experienced overwhelming fatigue, constant muscle pain particularly in his shoulders and arms, shortness of breath and chest pain with moderate exercise, constantly running nose, dry cough, raspy voice and abdominal distress. He consulted with a general practitioner, an allergist and a cardiologist who performed a battery of tests. None provided help. He finally discontinued Crestor and in less than a week the symptoms were gone and he felt better than he had in years. A customer using prescription statins experienced alternating foot pain and numbness that was debilitating. Two weeks after discontinuing his statin medication, his foot problems disappeared. They are both now using a natural alternative to lower their cholesterol and experiencing no problems. Despite most of the medical community handing out statin drugs like they’re Halloween candy, a growing numbers of doctors are quite sure that taking statins is a big mistake. The practice of giving statin drugs to otherwise healthy people, in order to inhibit a natural bodily function, is being seriously questioned. There appears to be a paradigm shift coming in the prevention and treatment of heart disease. Dr. Duane Graveline, author of: Lipitor, Thief of Memory, suffered bouts of complete amnesia that ended when he finally discontinued use of statins. Controversial doctor, Dwight Lundell was a heart surgeon who performed over 5,000 open heart surgeries. He said: “prescribing medications to lower cholesterol and a diet that severely restricts fat intake is no longer scientifically or morally defensible”. Instead, Lundell believes that: “without abnormal inflammation being present in the body, there is no way that cholesterol would accumulate in the wall of the blood vessel and cause heart disease and strokes. Without inflammation, cholesterol would move freely throughout the body as nature intended. It’s inflammation that causes cholesterol to become trapped”. and the excess consumption of omega-6 vegetable oils that are highly processed in many foods to provide long shelf life. It appears Lundell is on the right track. Independent research demonstrates that elevated blood levels of CRP (C-Reactive Protein, an inflammation marker) are more predictive of cardiac risk than cholesterol levels. A study of healthy physicians, published in the New England Journal of Medicine, was the first to show that relative risk of first heart attack or stroke was directly related to elevated CRP levels. And the Harvard Women’s Health Study, which looked at 12 different markers of inflammation in healthy postmenopausal women, found that after three years CRP was the strongest predictor of cardiovascular risk. Being tested for CRP is simple and can be done along with a cholesterol test. If you think that heart disease is being caused by insufficient drugs in your diet, a lifetime of prescription statins may be for you. If not, you may want to do some more research and become your own expert.